Curate the Magazine, by collecting and sharing relevant information with students such as news about LGBT rights and activism in Uganda, Russia, Korea and other countries as well as coming out stories from LGBT people all over the world. The Flipboard Magazine is a virtual space where student affairs professionals and educators support a meaning making process of international LGBTQ studentsÕ sexual and affectional identity and empower them to create a sense of community. 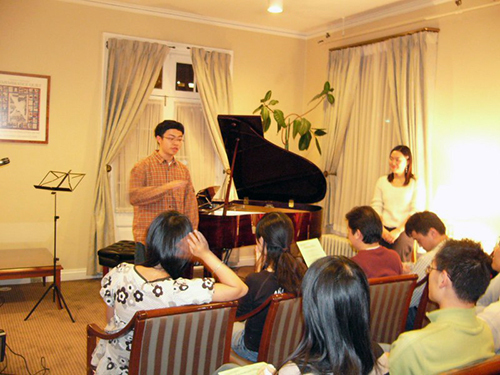 Choi, K., & van der Boom, C. (March, 2016). Curate Flipboard Magazine International Safe Zone to support international LGBT students. ACPA Conference in MontrŽal, Canada (Sponsored by ACPA Coalition for Lesbian, Gay, Bisexual & Transgender Awareness, CLGBT). Collabroated with The School of Education at Ewha Womans University. Choi, K., & Oh, I. (in progress). Examining the coming out experiences of sexual minority college students in South Korea. Designed and scheduled computer classes (MS Excel, MS Word, MS Access, MS PowerPoint). Presented on the topic of "the Roles and Opportunities of Multicultural Counselor Educators." Facilitated professional and scholarly collaboration between Youngstown State University (YSU) and universities around the world. Provided an opportunity for YSU faculty and students to collaborate with international educators and students and enhance their understanding of multiculturalism and international education. 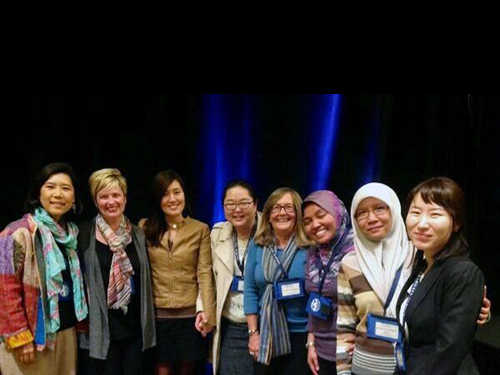 Initiated an international scholarly engagements with Ehwa Womans University in Seoul, South Korea. Presented research topics and process to faculty in the all college meeting at the Beeghly College of Education, Youngstown State University. Published the article, Counseling in South Korea in the Counseling Academic & Professional Honor Society International (CSI)'s Global Network website. 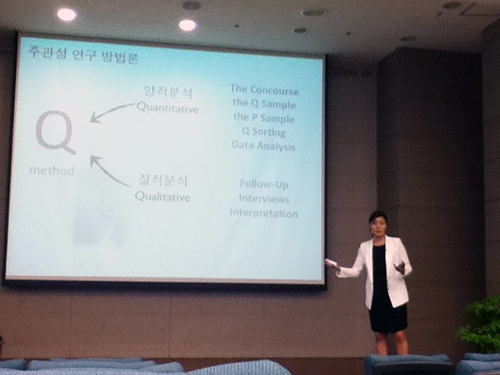 Interviewed Third Culture Kids (TCKs) and analyzed the interview data to understand the unique needs and challenges of Korean TCKs in the U.S.
Consulted with educational personnel about the educational counseling needs. Delivered educational school supplies and playground equipment to various rural township schools in South Africa. Conducted a research project on cross-cultural immersion experience of graduate counseling students. Developed the manuscript, "Going Beyond": Cross-cultural immersion experience among graduate counseling students. 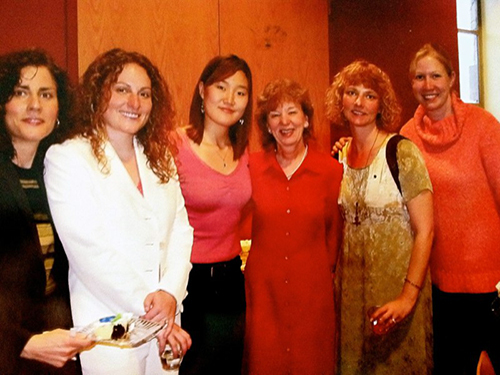 Choi, K., VanVoorhis, W. R., & Ellenwood, E. A., (submitted to The Journal of Humanistic Counseling). 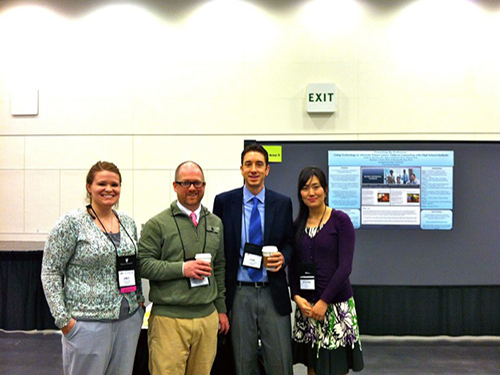 Going beyond: Cross-cultural immersion experiences among graduate counseling students. Studied conflict resolution and International human rights. Learned French and German cultures and languages. Visited the Council of Europe, the European Court of Human Rights, and the Parliament of the European Union. Explored International Organizations including the United Nations High Commissioners for Human Rights and for Refugees, the International Labor Organization (ILO), World Health Organization (WHO), and many non-governmental organizations (NGOs) that focus on international problems in Geneva, Switzerland. 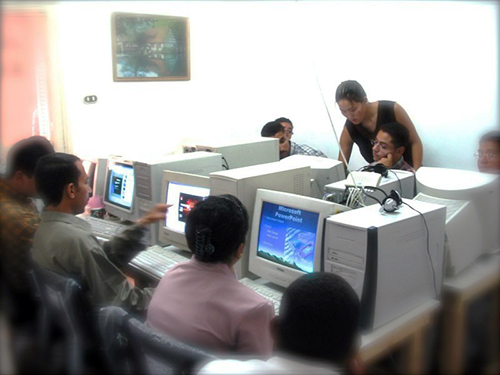 Taught basic computer education to Egyptian students and Sudanese refugees of various ages. Assessed refugees' difficulties and concerns on adjustment and oppression. Designed and scheduled computer classes (MS Excel, MS Word, MS Access, MS PowerPoint). Presented on the topic of Korean culture and society to Egyptian students. Mentored over 110 students (2nd, 3rd and 4th grade) in basic elementary subjects. Taught students in the Navy Club, Girl Scouts, and the Korean Red Cross. Developed a bar code system to track over 9,000 library books. Selected more than six senior teachers to organize and conduct the school's first quiz show. Led the school book club to a nation-widely broadcasted student quiz competition. Collected educational materials and information about cultures and traditions of India and Nepal. Developed awareness and sensitivity on development of underprivileged areas in these two countries. Assisted medical team in development of undeveloped/poverty stricken areas. Coordinated educational programs with Bangladeshi teachers. Conducted the first orchestra concert with Dhaka Music School.